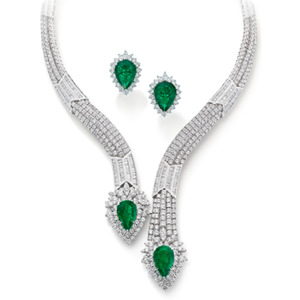 Nourbel & Le Cavelier’s Haute Joaillierie Collection offers an array of subtle and elegant pieces: entirely hand-made one-of-a-kind jewels incorporating the rare and precious, with exquisite diamonds, Zambian emeralds, natural multicoloured sapphires and rubies. Precious rarity is accompanied by creative brilliance to shape something absolutely unique. Each and every piece in the collection is a timeless masterpiece fashioned with the finest craftsmanship techniques developed over four decades. All creations by Nourbel & Le Cavelier bear the Swiss Master Jeweller’s Maker’s Mark.